Follow us on Instagram @iReclaimed for promos and news! Very good looking handle. Thanks. 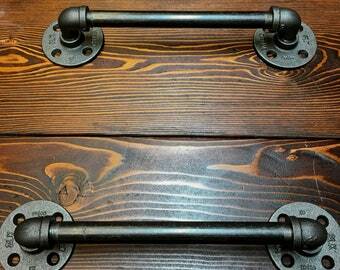 Great Looking Handles. So nice I reordered another one for another cabinet. This company is awesome! I said I needed something, and they got it to me within a day! Thank you! Beautiful product! The perfect accent to my son's bedroom! Its finally here! 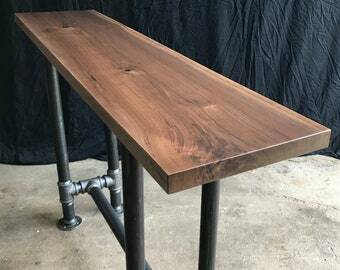 We are stoked to announce the arrival of our much-requested live edge Foundry Table! Check it out! We're all about salvaging here at iReclaimed and our new coffee table design proves it! 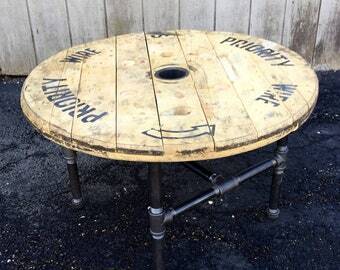 We take a salvaged industrial cable spool and pair it with repurposed black pipe for a solid but elegant piece. Check it out! Look out for ghosts! 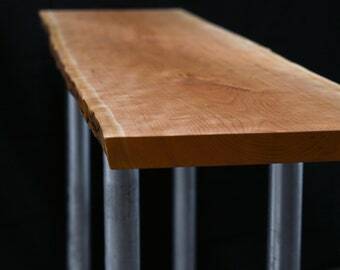 We're stoked to showcase our newest offering-a Ghost Figured Maple dining table! Check it out! We're a husband and wife team that is salvaging our world piece by piece. 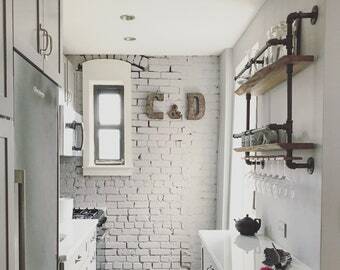 We handcraft all of our products out of reclaimed wood, then combine that beautiful lumber with re-purposed industrial black iron pipe and other salvaged goodies (like reclaimed wood crates or vintage hardware!) to create some mighty fine furniture. Our shop is committed to providing unique, distinctive and high-quality pieces that are designed to enhance your living spaces and simplify your life. Here at iReclaimed, we believe partnership can be a world changing force. Because of this, a percentage of each sale is given back to the global community through a variety of non-profit organizations. We’re a husband and wife team, salvaging our world one piece of reclaimed furniture at a time! Our workshop, a 1930’s wood barn, is full of history and character and we do our best to infuse some of both of those attributes into everything we build. 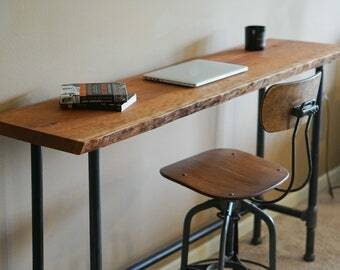 Each piece we build is handcrafted using salvaged or reclaimed wood, unless the listing or custom order specifies otherwise. 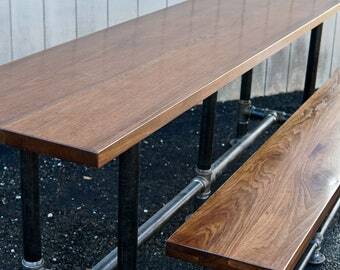 Reclaimed or salvaged wood is defined broadly, but our definition is lumber that has been re-purpposed (barn wood, for example) or "upcycled" lumber that would other wise be chipped, burned, etc. Any variation, distinction, knot, blemish or defect is acceptable and normal with reclaimed lumber. 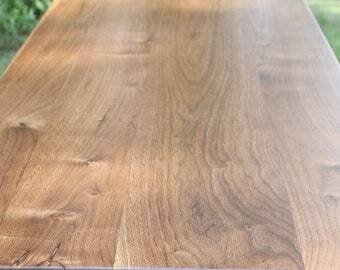 These normal variations include mineral staining, color changes/variations, species changes, weathering, discoloration & staining, surface blemishes, uneven surfaces, rough-sawn marks, cracking, bolt/nail holes, nails, screws, loose knots, tool marks, dents, thickness variations, splitting, and mixed grain patterns. Yes, all of our pieces have several coats of a high-quality, clear finish. We offer both low VOC and standard solvent based finishes-please message us with special requests. The specific finish varies based on the piece and may be satin or semi-gloss. Our outdoor pieces are finished with a UV resistant topcoat for maximum resilience. 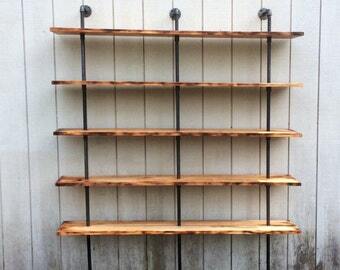 Due to the nature of reclaimed wood, each piece may have slight variations. We do our best to compensate for material differences, but dimensions may vary up to 2" from the listed measurements. Please contact us if you have specific space requirements that require precise dimensions! We are a husband and wife team and we build each piece by hand! We don’t carry an inventory and we source all of our materials locally from sustainable sources (or we salvage them ourselves!). Our lead time is typically 7-10 weeks depending on the season and our current projects, as well as the customization of your order. We truly appreciate your patience and support of our small business! Please let us know ASAP! We want you to love your iReclaimed piece-if you don’t, contact us immediately and we will work to make sure you are satisfied. We have a 30 day return and full refund policy and we also offer replacements under certain circumstances. Just message us and we will take it from there! We sure do! Just message us prior to ordering for a shipping quote! 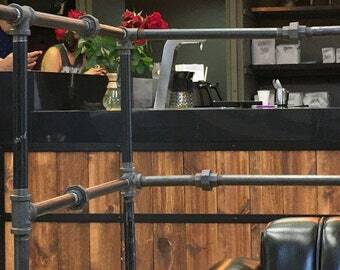 Is Black Iron Pipe actually black? "Black Iron Pipe" is steel (or malleable iron) that is commonly referred to as black iron piping. 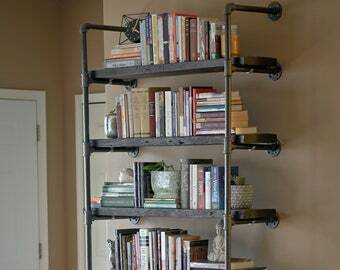 The true color of "black iron pipe" is best described as gunmetal gray or pewter. Due to normal variations in manufacturing and suppliers, pipe components may show variations in style, color and appearance. This varies based on your needs, the table design and the stools or chairs used, but you can use the guide below to help make your selection!